That's possibly the best way we can describe this car. Arriving at the Downeys showroom in Newtownards, the beaming white and elegantly shaped car immediately caught our eyes. From one angle, it's a beautiful sportswagon-style car, boasting all the space and features you would expect from any top brand these days. Then move to another angle and it's looking like a hot hatch or cool coupé. A brief chat with the Downeys team and confirmation that it is a hybrid of the body styles. And what a combination that is! 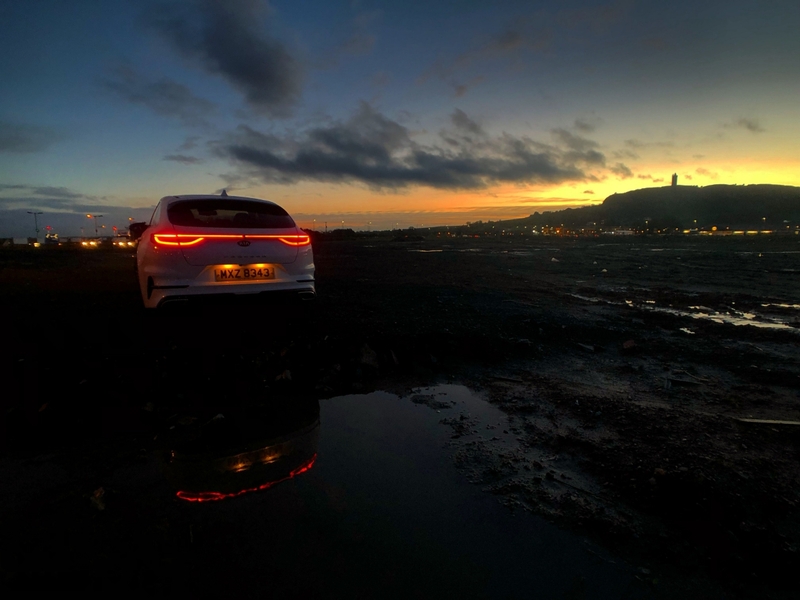 After standing looking at the exterior for far too long, we jumped inside, abandoned our initial plans and headed immediately down the Ards Peninsula for a better view of the sunset unfolding (these pics are actually just 5 minutes from the Downeys showroom). Strangford Lough is such a beautiful part of Northern Ireland. That's a wow for both the car and the sunset. Looking at the Kia range ahead of our test drives, we had placed bets that the Sorrento would be our personal favourite. But after spending some time in the Proceed, we're now completely torn. With eye catching looks (we had 4 separate people tell us they initially thought it was a certain German vehicle beginning with "P") and SO much to talk about inside - while still being a LOT more affordable than some competitor brands - you really do need to give this car a go yourself. And then there's the boot! And with the retractable parcel shelf able to be removed completely, there's even more room for BIG objects. And underneath the boot floor is not just the little 'secret' compartment that we found (and loved) in a few of the other Kia models, but there's a combination of little tubs to keep things nicely organised. Perfect! Ok, the ProCeed is definitely our favourite so far. As well as the Sorrento. The Ceed was great too though. Next week - the popular Kia Sportage comes to the North Coast with us.